Seasonal prediction and climate change modeling are carried out on the basis of the programs incorporating the global model of the atmosphere, ocean model, sea ice and land models, etc. Each component of a coupled model has to provide a fairly complete representation of the physical processes in the appropriate medium, while the other components are replaced by reanalysis data. In this paper we present the results of a study aimed at improving the quality of the climate simulation with the SL-AV global atmospheric model where both ocean sur face temperature and ice concentration are prescribed. We also discuss some probtems in tuning the parameterizations of subgrid-scale physical processes and their modifications. Russian Text © R.Yu. Fadeev, M.A. 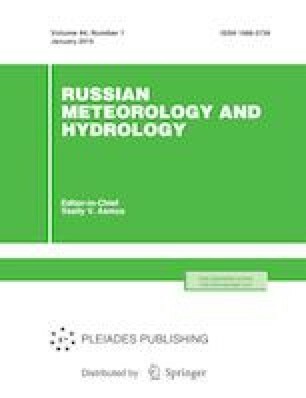 Tolstykh, E.M. Volodin, 2019, published in Meteorologiya i Gidrologiya, 2019, No. 1, pp. 22–35.